There are not many naked bikes on road that attracts customers by its elegant looks and one among them is Ducati Streetfighter. Many believe the fairing is essential for the macho looks of the motorbike but a peep through this vehicle simply stuns everyone with its naked body. Well-designed seating position properly placed stylish handlebars and attractive alloy wheel spokes make this bike no less than any of the other noted bikes in the world. On the whole it is uncompromising bike when it comes to looks and performance. 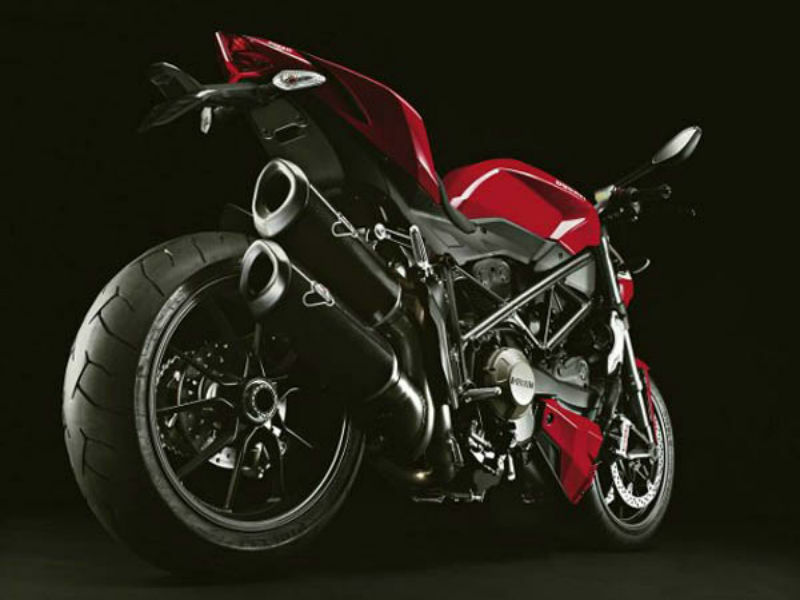 The ergonomically designed adventurous bike Ducati Streetfighter is equipped with powerful 1099cc, Testastretta Evoluzione, L twin cylinder engine with 4 valve per cylinder. This potent engine follows the liquid cooling for greater fuel efficiency and also comes with 6-speed gear system. The maximum power generated from the engine is about 114kW at 9500rpm and the peak torque achieved is 115Nm at 9500rpm. Here, the well designed technology gives the best power to weight and torque to weight ratio, which helps in improving the overall performance of vehicle. 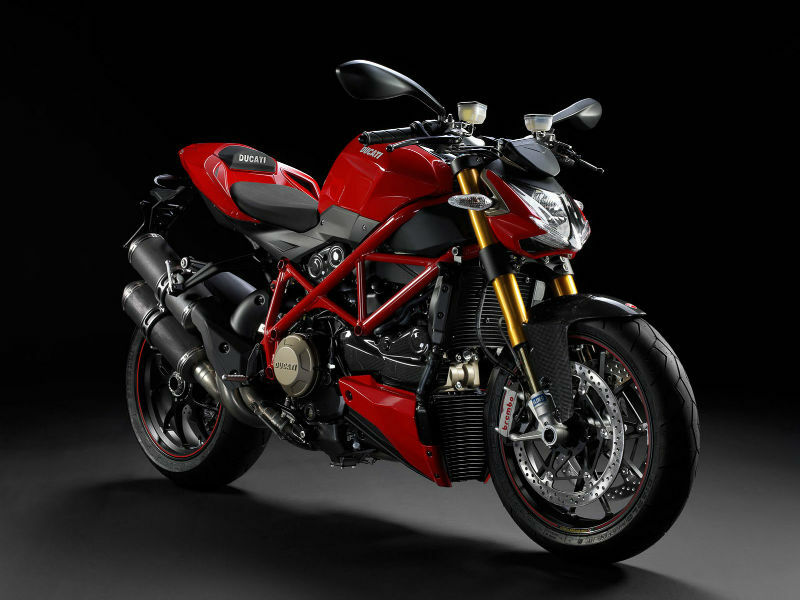 The all new attractive sports bike Ducati Streetfighter is a known for its quality design, latest technology, crazy sound and the feel that every rider will get after taking a chance driving it. The rigid front frame of the body with 25.6° of rake assures greater stability to the vehicle. The lighter aluminium wheels, comfortable seating and trendy handle bars serves as the major eye catching features of the vehicle. Many critics appreciate the design of the classic vehicle and is also considered as one of the best looking motorcycles in the world. The whole idea behind this vehicle is to make it fit to be called superbike so that it makes the journey on any tough roads easier. To provide smooth drive the bike is packed with quality suspension and disc braking system. When it comes to suspension of Streetfighter it comes with front 43mm fully adjustable ohlins and rear progressive linkage with fully adjustable Ohlins monoshock with top-out spring. The Mileage of this superbike is not known exactly. 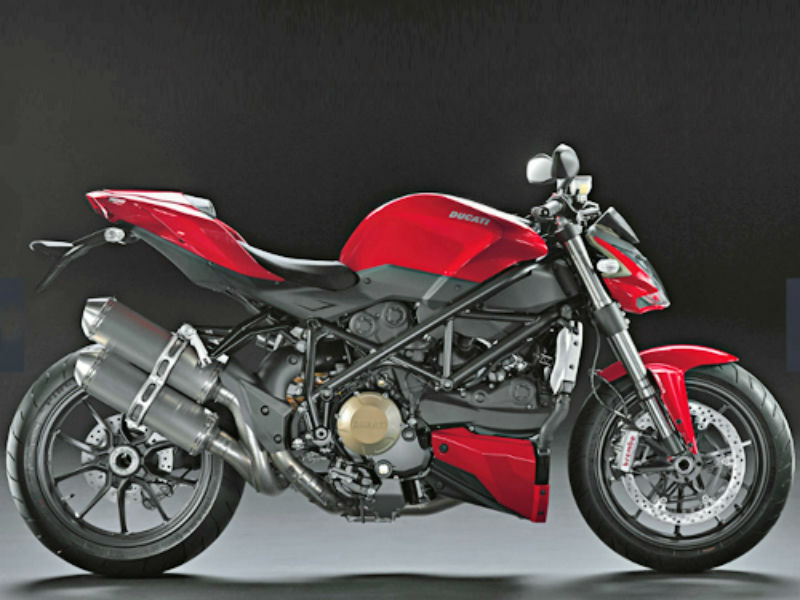 Ducati Streetfighter is available in two shades namely Diamond Black and Red. The ex-showroom price of this vehicle is about Rs.21,83,000.